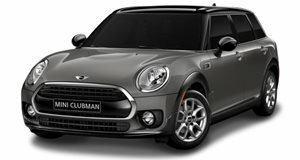 It seems MINI wanted to give their Clubman a fashion statement.The limited editionTumi Clubman will be sold only in China. It seems as if boutique firms of any type just love getting their hands on anything to do with MINI. And now, luggage company Tumi has joined forces with MINI to design a pair of special edition Clubmans. One Cooper S trim comes in black with red trim and a second trim is painted Hunter Green with black and orange trim. A custom luggage pod comes mounted on the roof for both. Both MINI&apos;s were designed specifically for the Chinese market and are obviously limited in production. Each also comes with unique luggage sets by Tumi, who also used their own fabrics for the cars&apos; interior. No word yet on pricing or the specific number of units that will be built. Chances are these will quickly sell out in China, but we&apos;re very skeptical whether American or even European customers would find them appealing.